A harmonising aromatherapy spray to soothe the emotions and lift the spirits. With Orange Flower Hydrolat and pure essential oils of Neroli, Bergamot, Sweet Orange and Petitgrain. 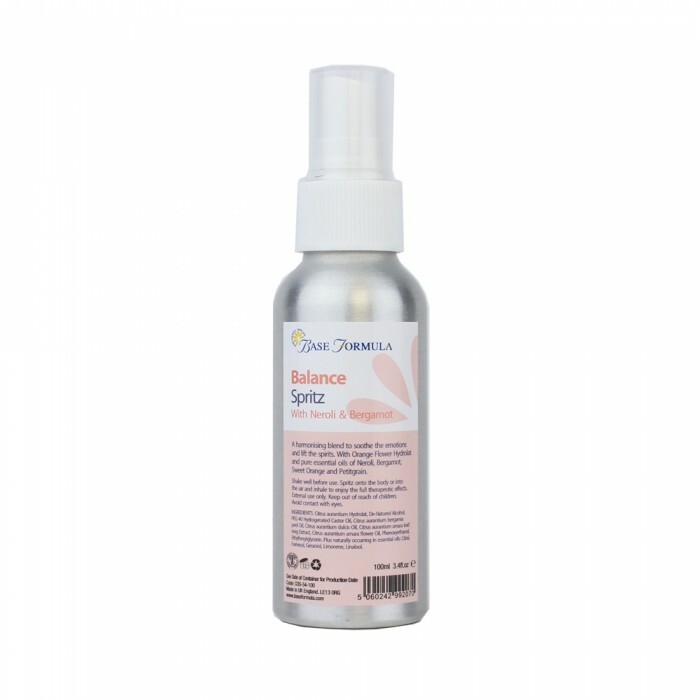 Our Balance Spritz has been expertly blended to encourage inner balance and harmony. This calming, yet incredibly uplifting blend, is ideal for soothing nerves, anxiety, stress and tension, to leave you feeling relaxed, confident and in control. Balance Spritz can be used as and when challenging situations arise, or can simply be enjoyed as a beautiful room fragrance to create a sense of peace and calm. Wonderfully aromatic Orange Flower Hydrolat has a relaxing influence on the mind and body. Neroli essential oil calms, soothes and lifts the emotions and is excellent for treating anxiety, stress and nervous tension. Bergamot essential oil is well known for restoring emotional balance, and is often referred to as 'Nature's prozac' . Sweet Orange essential oil has a refreshing and cheery effect on the emotions. It can also help to dispel negative feelings and encourage a more positive outlook. Petitgrain essential oil has similar properties to Neroli and is well known for its balancing, revitalising action and its ability to soothe troubled emotions. Directions: Shake well before use. Spray Balance Spritz onto the body or into the air and inhale to enjoy its uplifting, enlivening effects.